Our company does heating and cooling repair in Bend and Portland, Oregon. We repair and maintain all models and brands heating as well as cooling units. Our team serves both residential and commercial customers. If your heater is broken during one of the cold Oregon winters all you have to do is call us, and we will come to help. Our certified heating and HVAC experts will be able to fix your heater in no time at all. The same is true about cooling systems or air conditioning. We are ready to help you because we know that hot summer without a working air conditioner is not fun. We treat every call like an emergency. Besides being there for you in case of heating and cooling repair emergency, we are also experts in the maintenance of your units. In fact, with proper maintenance, you can skip the emergency repairs altogether. Technicians will not only change your filters but will also perform a comprehensive component check to make sure that your heating and cooling units are functioning correctly. If we see any problem, we will eliminate it before it becomes too big and expensive. Sometimes you are moving into a new house and need your heater or AC installed or sometimes your old units are just completely broken. This is where you need a professional like us to do the proper installation. We will take most excellent care to install your unit in the most convenient and appropriate place and will do it right. We will also wear protective gear and use drop cloths to protect your property. Often the hardest part of the job is figuring out what it will be effective to heat or cool your entire house effectively and will save you money on electricity bills. Also, the placement is very important. We are detail-oriented experts when it comes to stuff like this. We are a company with more then30 years experience in heating and cooling repair, installation as well as maintenance service. Oregon Appliance Repair is family run and family managed a company. But every technician that works for us is factory trained and certified to fix all brands of heaters and AC units. 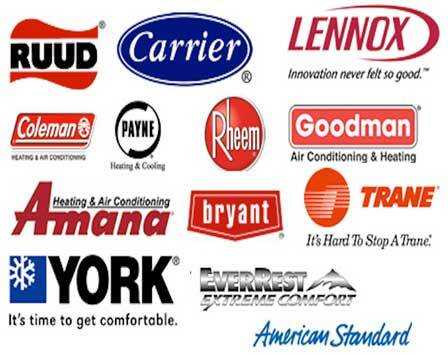 For example we are certified to work on Amana, American Standard, Armstrong Air, Bryant, Carrier, Coleman, Frigidaire, GE, Gibson, Goodman, GrandAir, Heil, Honeywell, LG, Payne, Rheem, Ruud, Samsung, Tempstar, Trane, Weather King, Westinghouse, Whirlpool, York and many other brands. That means that we are up to date on the latest technology connected with those brands. Besides having a lot of experience and knowledge our team also prides itself on being very customer oriented and friendly. Our workers are always polite and ready to help or answer any questions. They will give you useful suggestions and tips on how to keep your house as energy efficient as possible. And of course, they are extremely detail oriented. Our goal is always to measure twice and cut once with whatever we do. We work with the best brands and try to find the unit that is right for your home. This way you will be able to minimize your energy consumption and maximize your comfort. We pride ourselves on being one of the only companies in Bend and Portland that caters it services directly to each client’s individual needs. 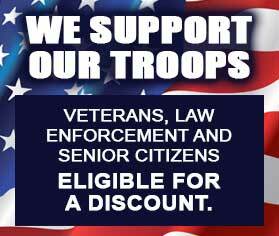 Our service is the most dependable and our prices are the lowest. Our experienced team will advise you on what unit is best for your home. We are well aware of how it fits into your house plan and how much it will save you on your energy bill. Our licensed and insured installers will properly install the unit and will make sure that it works well. Whether you are building a new home, remodeling an old one or just replacing your heating or cooling system by itself, we can help. Don’t let your family go through the cold Oregon winter or hot Oregon summer without right equipment making your home comfortable. Your family will be able to enjoy total control of the temperature inside the house. Sometimes your heating and cooling repair is just impossible. Your unit is too old and beyond the possibility of repair. 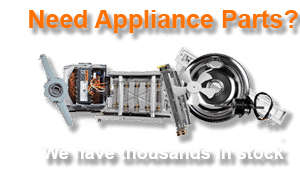 We at Oregon Appliance Repair can find you a replacement unit. We will make sure it’s efficient and good quality. Our team will properly install it for you. We will bring all the necessary equipment with us and will install the system throughout your house or on your roof if necessary. We simply number one when it comes to often complicated proses of AC repair and heating repair. Our Bend and Portland-based technicians will correctly diagnose the problem, order all the right parts and will make sure to install those part the right way. You will be informed about each step of the prosses and will see that everything is going smoothly. We know exactly how to install the parts and test your equipment to make sure it’s working correctly and will serve you for a long, long, time. 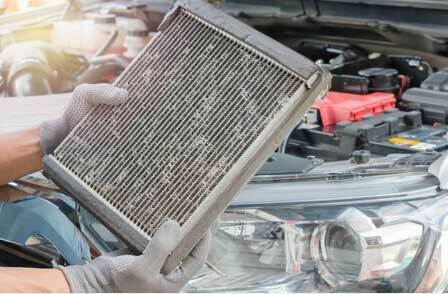 With the right maintenance, your heating and cooling units will serve you for a long time. In fact, professional maintenance can save you dollars in repairs and energy efficiency. Our scheduled service plans will make sure that your heating and cooling units are working at peak effectiveness. With the right care, your equipment can have twice the lifespan and less need for emergency repair. Also, it will save your on your electric bill by being more energy efficient. Lastly, a well-maintained unit will keep the air quality better in your home. For heating and cooling repair, please call us at 541-948-8835 or fill out our short contact form. We will be happy to set up a convenient appointment for you. Our friendly and highly skilled licensed technicians will soon be on their way to repair your appliances. We do patio heater repair in Bend, Eugene, Portland, Central Oregon, Crook County, Deschutes County, and Jefferson County. We also repair patio heater repair, refrigerator repair, washer repair, dryer repair, microwave repair, stove and range repair, oven repair, steam oven repair, freezer repair, ice maker repair, barbecue repair, pizza oven repair and much more.